Let’s just admit it…we all want to be Cheryl Blossom. For over two years now, thousands of us have been obsessing over the teen mystery drama Riverdale. It is a show packed full of secrets, romance, and over-the-top-dramatic scenarios, but above all, it has some of the most fashionable characters to grace the small screen since “Gossip Girl.” And the most fashionable of all of the Riverdale residents has to be Riverdale’s own Queen Bee, Cheryl Blossom. When it come to Cheryl Bombshell’s style choices, she is often, if not always, seen sporting her signature red color, whether from head to toe, or with her red spider brooch, rose embroidery on her top, or red trimming on her sweater. Her vibe might be described as vampy or femme fatale, as her style falls in line of an evil queen from fairy tale. Her style certainly makes her stand out from Betty Cooper’s Nancy Drew-inspired getup and Veronica Lodge’s city chic look. Though her style might be impressive, it is her sass and plotting skills that truly make her a memorable bad girl. 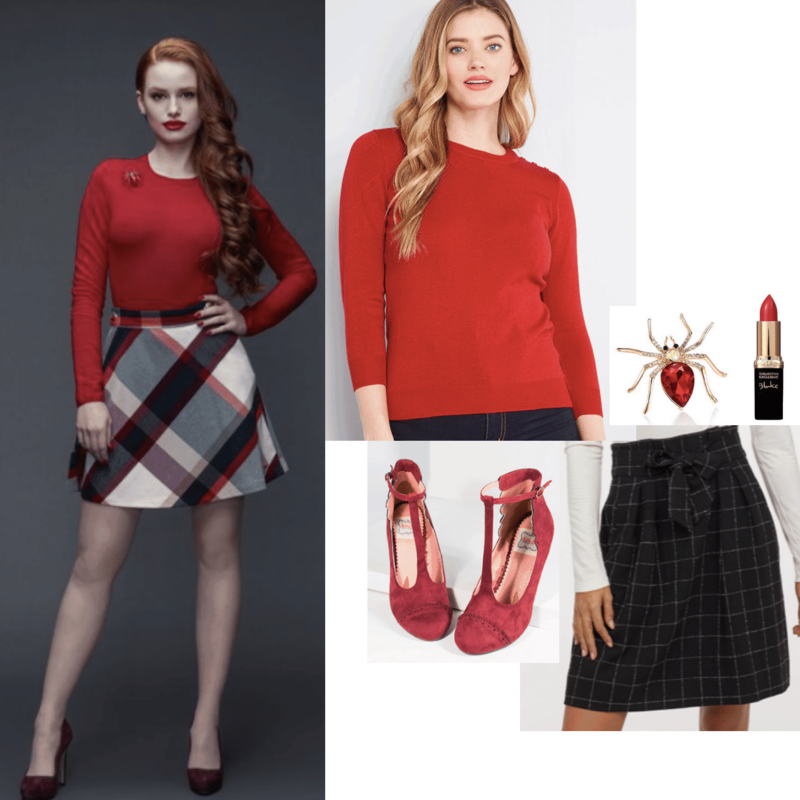 To get the Riverdale Vixen’s iconic look, be inspired by these three stylish Cheryl Blossom outfits perfect for different occasions, especially ruling the world. One thing Cheryl is known for on the show is simply being over-the-top. Every outfit she wears serves the purpose of making her appear as a fairy tale princess gone bad. The best example of this is certainly her all red and black winter outfit completed with the perfect red hooded cape. This outfit emulates the appearance of Little Red Riding Hood, but as we all know, Cheryl is more the wolf than little red. To get this perfect winter fairy tale look, it is best to go with an all black outfit with hints of red appearing in the accessories. For that Cheryl feel, find a red coat or poncho to be the standout piece. In one of the most iconic scenes from Riverdale season two, Cheryl plays the role of flag girl for the drag race between the Southside Serpents and the Ghoulies. Though it was a dangerous and serious race, Cheryl treated it as a fashion show, showing up in Blossom red high waisted shorts, a white crop top, sky high heels, and classic black sunglasses. This look is one of many from the show that has a modern ’50s feel. (The show is based on the original Archie comics series, after all!) When channeling this look, think modern retro. Keep it vintage with some high-waisted shorts and a pair of round sunglasses, and then get modern with a crop top and heels. This look would be perfect for spring break or saving for the summer season! In nearly every episode of Riverdale, we get at least one glimpse of Ms. Blossom’s school wardrobe, which is filled with outfits that evoke power, femininity, and sultry vibes. To get Cheryl’s Riverdale High vibe, mix classic pieces like a basic red sweater and a check mini skirt. This might sound simple, but when you add in a few noticeable accessories, such as a spider brooch and statement red heels, your look will be the talk of the school. Are you inspired by Cheryl’s style? With these three inspirational looks you should now be ready to venture out into the world and channel Cheryl Blossom in your own looks. And honestly, who can blame you? Bad never looked so good. Are you inspired by Cheryl’s bombshell vibe? What other villainous women would you like to see featured in this column next? 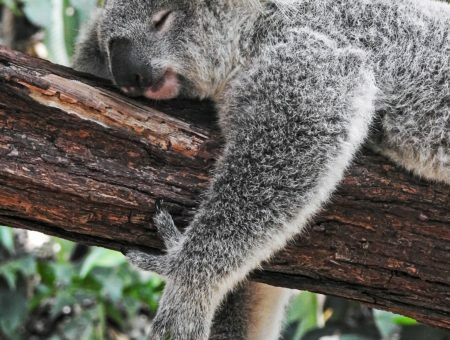 Definitely let us know your thoughts in the comments.